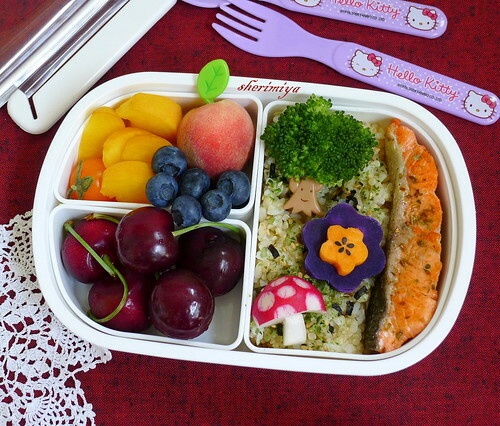 Salmon Forest Bento, a photo by sherimiya ♥ on Flickr. Yes, I just love those! 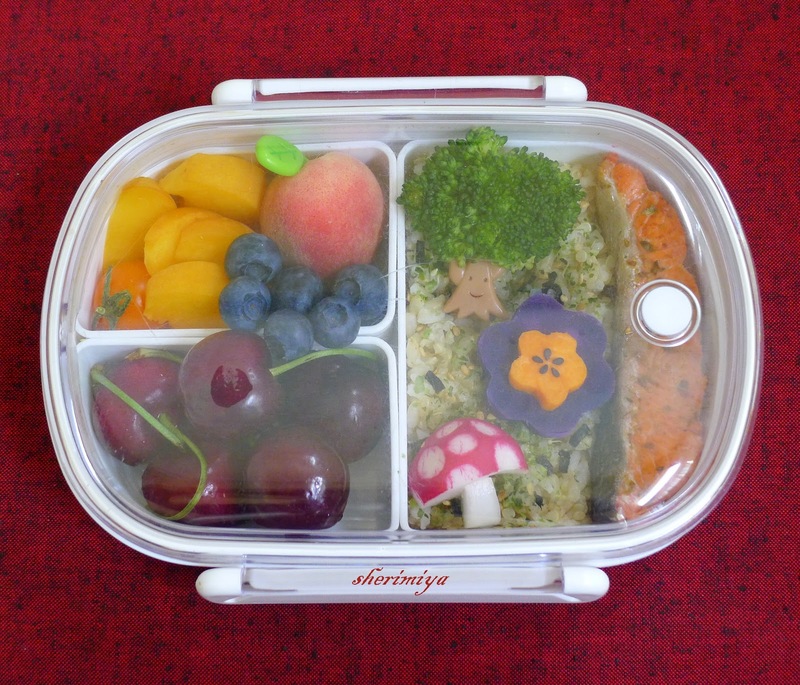 Perfect summer bento! 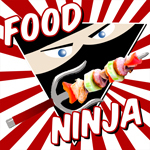 So pretty, fun and tasty! Sounds familiar rubbing off the seasoning. My daughter was used to things seasoned more than your average kid, so much so that she never liked the bland "kids" food they would offer...hence why I have had to make her lunches. Now she eats almost everything and even a little spicy! She just loves furikake! I have hope that the littles will warm up to spices once I get their taste buds broken in. Their dad and I love spicy food so I'm looking forward to the day when I don't have to make two batches of varying heat! This is adorable!!!!! You make me want to get better at making cute accents. I just love this one! Aside: I only recently discovered donut/Saturn peaches--and I LOVE THEM! As for the donut peaches -- there are some that are just so-so, but this pure yellow one (called peach pie peach) is one to look out for. It is the sweetest peach I have ever tasted! Hi Yenny -- thank you! Thank you Lee Hana ~!